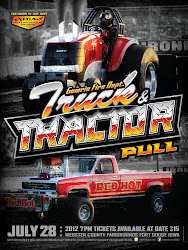 READY FOR SOME FULL THROTTLE POWER AND FUN? 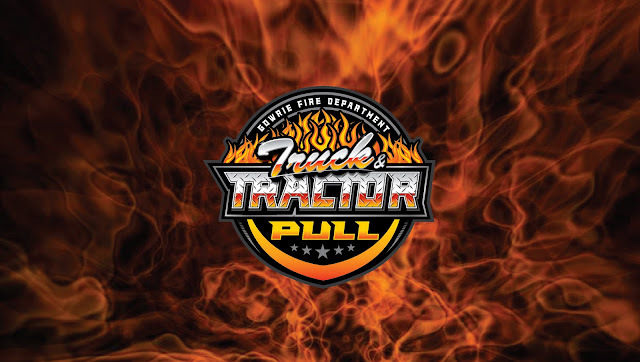 See you at the pull July 26th, 2014 6:00 PM at the Webster County Fairgrounds! Check out this AWESOME clip of our very own hometown favorite Matt Goodwin and his Intimidator at the Gowrie Fire Department Truck & Tractor Pull last year. Order your official t-shirt today for only $20. 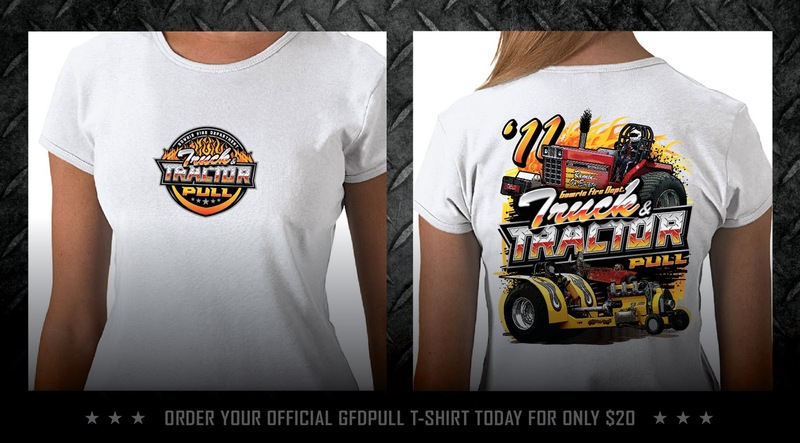 Simply send us an email with your size, or sizes at gfdpull@yahoo.com now! And as a special bonus, wear your shirt to the pull and you could be one of the lucky few to receive one FREE food, or beverage item. 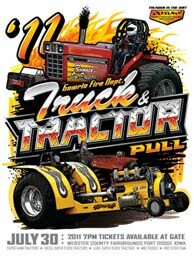 You could say we're PULLIN' for ya!! Vroom! VROOOOOM!! 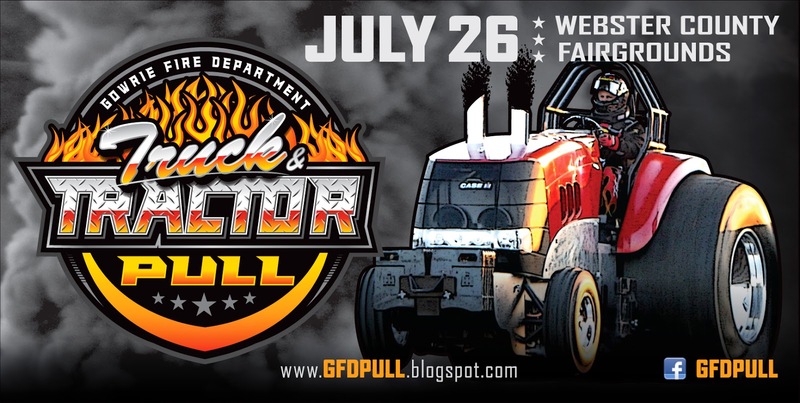 Mark your calendar and be ready tear it up this July 30th, at the Webster County Fairgrounds. Pull starts at 7:00 pm. Don't miss it!! Wanna see more? Click poster below for more great GFDPULL stuff! Download wallpaper by clicking photo to enlarge it. Then right click to save. See the POWER! Hear the NOISE! 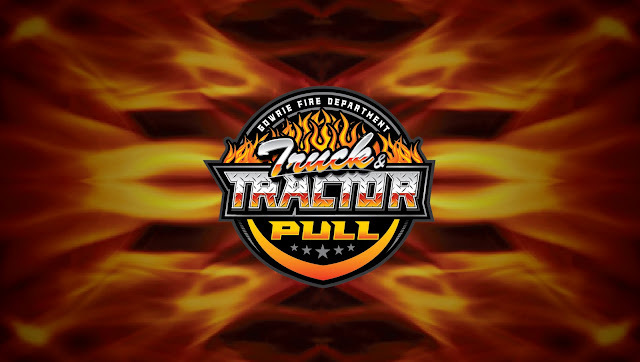 Support the Gowrie Fire Department and have some FULL THROTTLE FUN at the Gowrie Fire Department Truck & Tractor Pull! 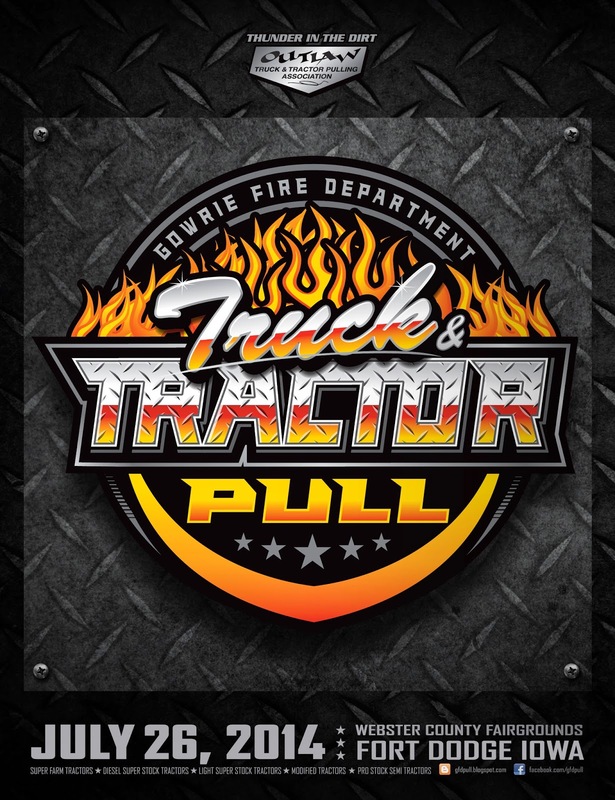 The Gowrie Fire Department debuted it's first sanctioned tractor pull back in 2005. 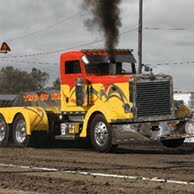 This premier event displays a safe, professional and EXCITING show for the fans of truck and tractor pulling. 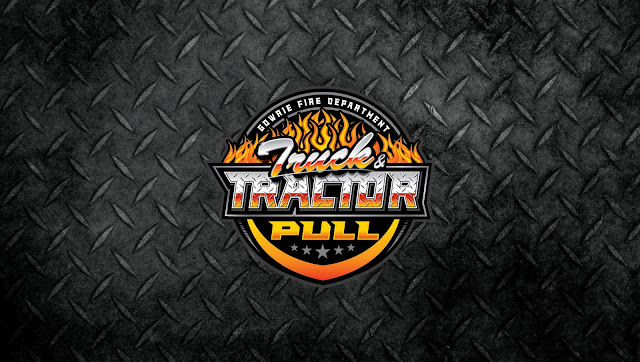 The Gowrie Fire Department Truck & Tractor Pull is excited to announce an all new PRO STOCK SEMI class for the 2011 pull. Don't miss it! 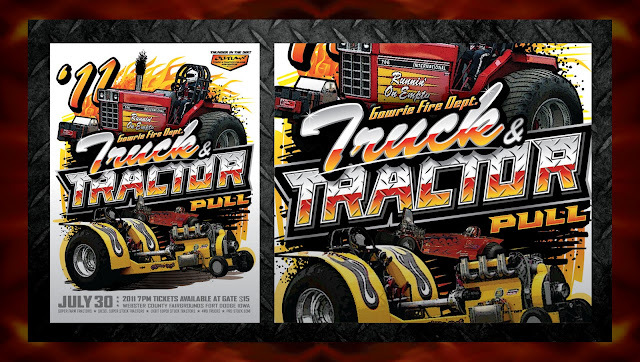 Check out past and present artwork of our tractor pulls. 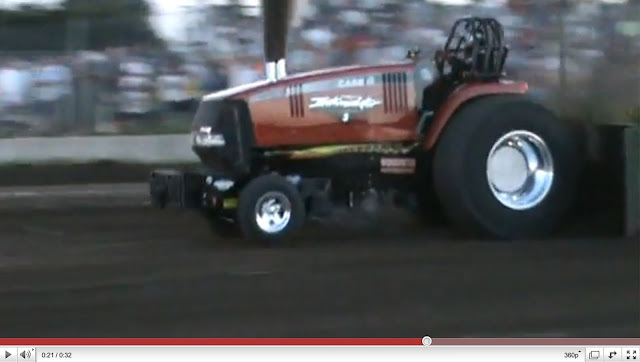 This tractor above marked our first pull back in 2005! Contact the Gowrie Fire Department Truck & Tractor Pull at gfdpull@yahoo.com or call (515) 351-9852. Powered by Blogger.